Find our most recent press releases below. Renton WA — February 4, 2019 - Neongecko.com Inc. today unveiled “klat.com” - the first conversational website to support multiple polylingual conversations, topics and threads. “Klat.com showcases unique conversational applications based on our state-of-the-art AI and speech processing environment. Our enabling technologies work in standard environments, for speech-to-text, text-to-speech, translation and real-time control. We utilize technology that wasn’t available before 2018 to make a new generation of conversational AI and universal translation possible." 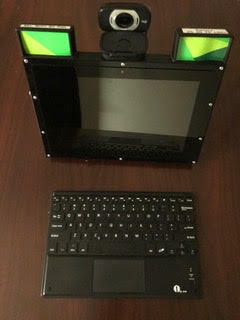 Renton WA — January 8, 2019 - Neongecko Inc. has developed a new polylingual natural language AI laptop computer, “NeonX Touchscreen AudibleAI Enabled Ubuntu Laptop PC”. Debut is at CES 2019, the Consumer Electronics Show, Las Vegas NV January 8 to 11, 2019. At CES, a demo of our NeonX laptop is at the Mycroft.ai booth (Sands Hall G 51507). Neongecko is particularly excited to introduce: (1) Conversational interactions with AI for a wide range of personal assistant skills, on a new personal computer platform. (2) Unique polylingual support, where users can speak in their preferred language, and hear computer generated responses in their desired language, dialect and gender. Neon uses enabling technologies that translate more than 100 languages and dialects. (3) A unique platform for coupons and advertising.